Energy monitors are a gateway to the inner energy workings of your home. 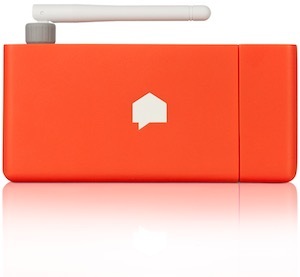 They connect to your electricity meter to show how much energy your home is using and to provide information about how you can make your home more energy efficient. Energy monitors come with a variety of features, from recognizing the energy usage of individual appliances to generating personalized recommendations for energy efficiency. What are the benefits of an energy monitor? If you’ve ever taken a close look at your electricity bill you know that it’s pretty light on information. Your bill will tell you 1) how much electricity you have used and 2) how much you’re being charged. Unfortunately, that’s about it. Let’s say you want to cut your energy use to save money or reduce your carbon footprint. To do that you either have to try to axe your unnecessary consumption as a whole, or simply guess which devices are heavy users. Energy monitors exist to eliminate this guessing game. They connect to your circuit breaker and allow you to track your energy consumption with much finer detail, allowing you to put the axe away and cut your energy consumption with a scalpel instead. What energy monitor features are important to consider? Not all energy monitors are created equal. When you look at your energy monitor options, there are a few factors to consider. It is important to distinguish between household energy monitors and energy monitors for individual appliances. Some energy monitors are used to monitor a single appliance at a time and give you a more detailed look at that particular device. Household monitors plug into your energy meter and give you a complete energy-use picture. This page focuses on the big-picture monitors. Your appliances have unique ways of using electricity. Some energy monitors have an appliance recognition feature that plug into your circuit breakers, detect how appliances around your home are using electricity, make a quick judgment on the type of appliance that’s detected, and report on the actions of that specific appliance. Not all monitors have this feature, and even for those that do have it, the technology doesn’t always work perfectly. It’s usually easy for the monitor to detect differences between a TV and a refrigerator, but devices that use electricity in similar ways (think heating devices, like a toaster and a curling iron) may be more of a challenge. Some, but not all, home energy monitors allow you to track the cost of your energy consumption in real-time. Real-time cost tracking will allow you to watch as your electricity consumption and costs increase or decrease. You will also be able to see and understand the effects of turning devices on and off. If cost saving is important to you, pay particular attention to devices with this feature. 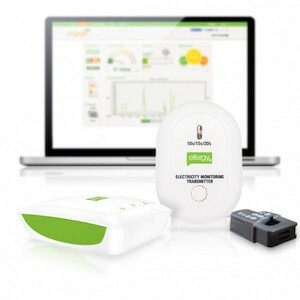 Many energy monitors connect to a mobile application that can send notifications about your appliances, tips for further savings, and warnings on abnormal appliance usage. If you want to be notified about a specific issue with your electricity use, be sure to confirm that the device you’re choosing has this functionality. For homes with solar installed already or homeowners considering solar, devices that come solar ready allow you to monitor your solar electricity production. Energy monitors with this option allow you to see how much energy your solar panels are generating, when, and how it is used. Unless you’re very familiar with your circuit breaker, we recommend consulting an electrician for installation. Many home energy monitors market themselves as do-it-yourself, but any project involving attaching a device to your circuit breaker will come with shock hazards. It’s true that bringing an electrician to your house for the installation will increase the total cost of the equipment, but once installed, the devices allow for significant savings. If you apply the learnings the energy monitor can provide, you can make up the upfront cost and the price of installation in no time. Neurio vs. Sense: how do the top monitors stack up? Two of the leading home energy monitors, Neurio and Sense, have a few distinct characteristics to consider when comparing the two prodcuts. While the basics are the same, both are installed in your circuit breaker by attaching transformers to your power lines and allow real-time monitoring of consumption and generation, there are a few major differences. Perhaps the biggest differentiator for the Sense is its standard feature that allows appliance recognition. The longer and the more you use Sense, the better it will be at recognizing the signatures of the appliances around your home. Neurio allows you to upgrade to this feature, but it may not be as advanced as the Sense version. A new unique feature for Neurio allows you to control and monitor distributed storage systems, potentially enhancing the return on your storage investment. Neurio claims that more efficient use of a solar + battery system can reduce the payback period by 30%. Sense Home Energy will automatically identify devices in your home over time, and let you name them. Using the mobile app, you can get immediate notifications and updates on every appliance in your home, see what appliances might have been left on or running, and track your month-over-month energy statistics. 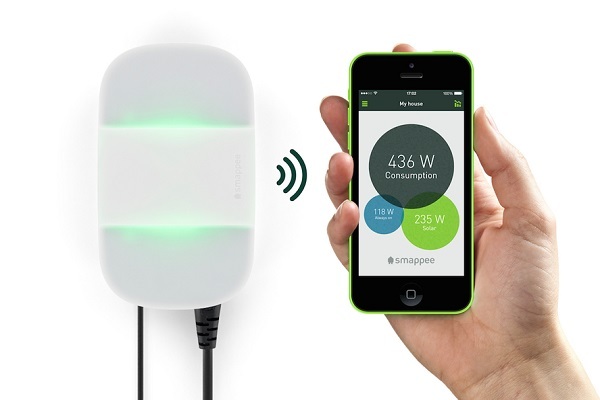 Smappee provides an energy monitor that will identify the unique electric signal of your appliances and allow you to name them for future monitoring. With real-time data, appliance recognition and mobile app integration, understanding your home energy consumption and savings through Smappee’s system is straightforward, and can save you money on your electric bill. The Engage platform comes solar ready and allows for real-time energy monitoring on an app and a desktop. The app includes a budget feature so you can set targets and track your use in accordance with those targets. Daily, weekly, or monthly reports are available.